In EURUSD, the major trend is descending; today, 1.1575 may be reached, which is just a half of the whole falling potential. 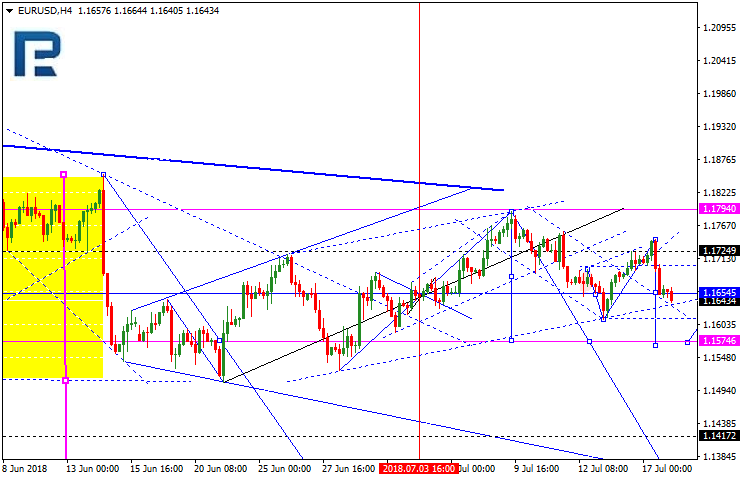 The local target is at 1.1420. 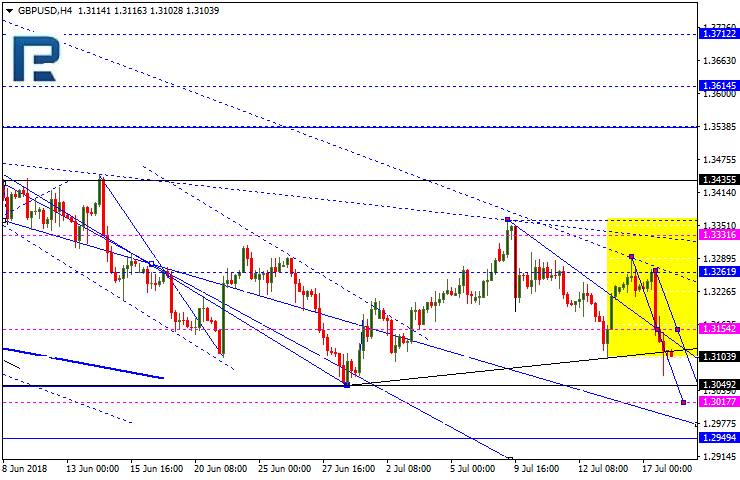 The GPB/USD continues falling; today, it may reach 1.3000, but then a pullback to 1.3150 might occur. After that, the pair is likely to head down again, reaching 1.2950. 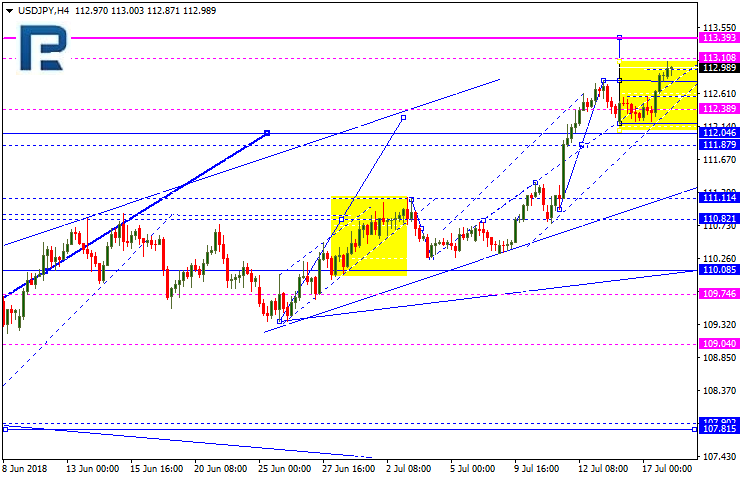 The USD/JPY has broken out the consolidation range, bottom up. 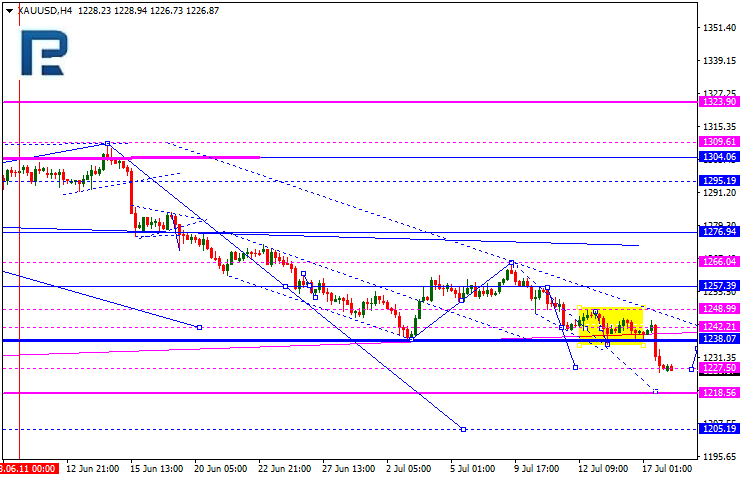 This may lead to a rise towards 113.40. All rising patterns are, however, temporary, as the price may head down to form another fall any time, first target being at 110.10. The USD/RUB reached 62.55, but then pulled back. 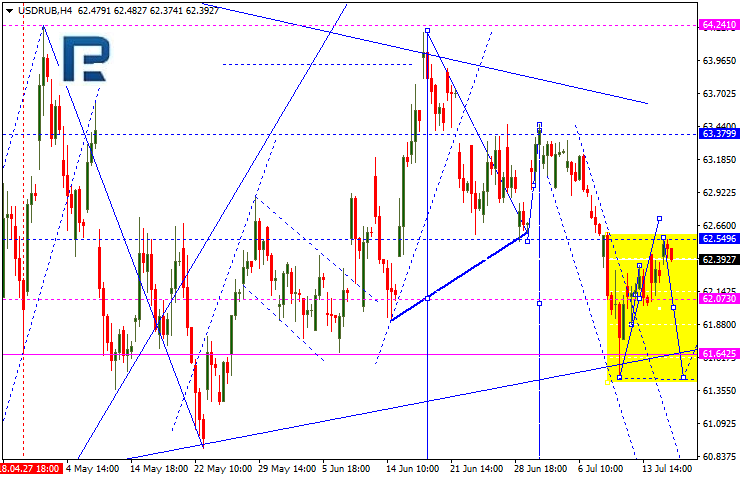 It may now take another attempt to rise till 62.62, but then is likely to fall till 61.61. 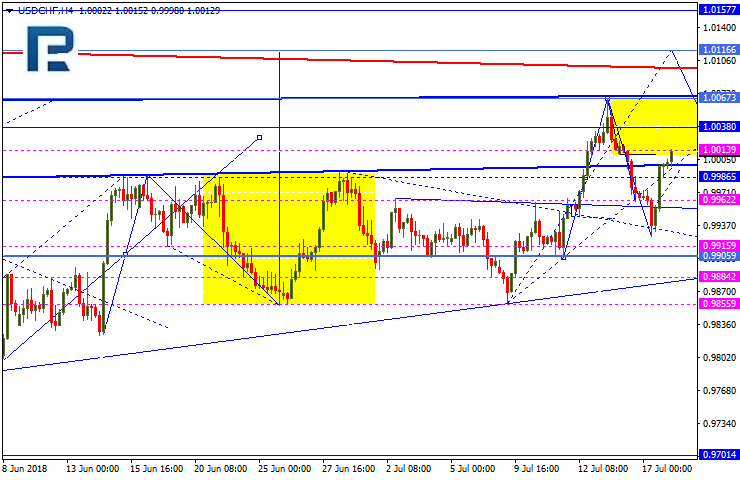 Once this price is broken out, the local target at 60.60 may also be achieved. The gold has broken out the consolidation range top down. This may lead to a fall towards $1,218, but then a rise to 1,242 is possible. Still, the downward movement may extend to $1,205. Brent crude is trading within a consolidation range near $71.80. 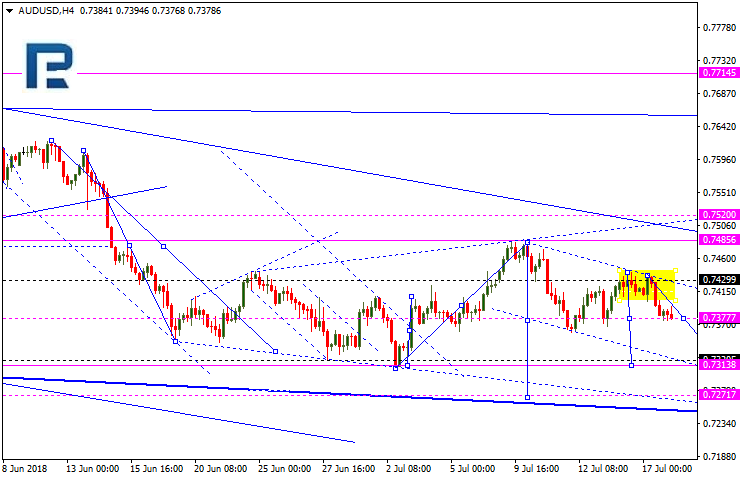 Today, the black gold may fall to $68.22, bet then recover again till $71.80. 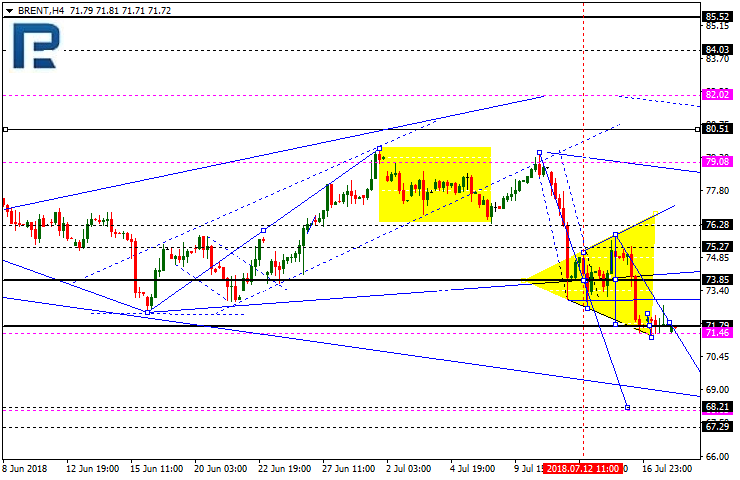 After that, the crude is likely to head down again, reaching 68.00. This is basically a 5-wave correction flag, which, when fully formed, may push the price higher to $82.00.